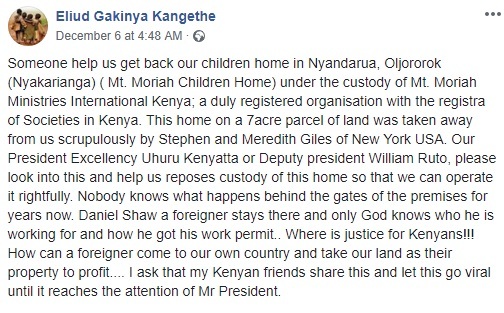 Sunday, December 9, 2018 - A Kenyan has made a passionate appeal to President Uhuru Kenyatta to help him recover a childrens’ home in Nyandarua which sits in a 7 acre parcel of land after it was grabbed by 2 US Citizens. 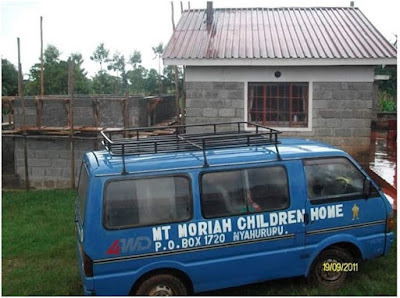 They grabbed the land in 2011 and no one knows what has been happening in the 7 acre piece of land that is surrounded by high perimeter walls. 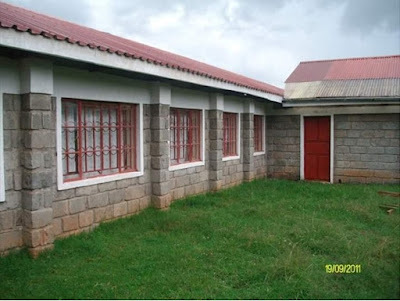 “Daniel Shaw a foreigner stays there and only God knows who he is working for and how he got his work permit. Nobody knows what happens behind the gates of the premises for years now.” Eluid Gakinya, who is crying for the Head of State to intervene posted. 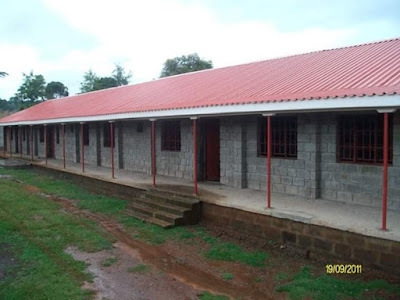 Here’s Eliud’s full post that should reach those in high offices. Here is the children’s home that sits in the 7 acre piece of land that was grabbed by the two wazungus, the photos were taken in 2011 before it was grabbed.